Sandbox is for childcare centers and preschools who are looking for powerful web-based software that they can access from anywhere to manage their administrative tasks and communicate with parents. Our ease-of-use sets us apart from the competition. 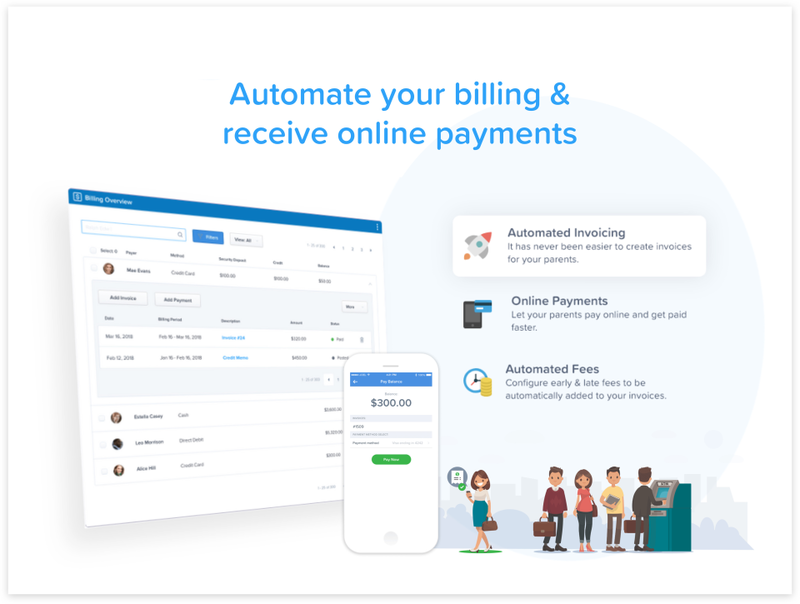 Sandbox Software manages all of your administrative tasks, lets you communicate with your parents, and enables you to process payments electronically or have your parents pay online. Sandbox is fully web-based with friendly, modern screen designs that make it easy-to-use from anywhere. See why our customers love Sandbox with your own free 30 day trial today! Sandbox Childcare Management Reviews Recently Reviewed! I knew immediately that I liked Sandbox from the demo because it was so easy to use! Pros: Sandbox has been very easy to use, and luckily I have not had a lot of questions or issues. But, I would say what I like most about Sandbox so far is the Customer Service. The old software I was using would require several phone calls, lots of time on hold, and a lot of work-arounds to get things done. My experience with Sandbox has been the opposite! The representatives have been available and helpful! They call back whenever I call them- even if I haven't left a message. The online chat feature has also been helpful for quick questions! Cons: So far, I would say I have liked the billing features the least in Sandbox. We are currently set up to bill families by day, and that has been the only task that has become more time consuming since switch to Sandbox. Getting all of the various schedules, snow day credits, and fees to be applied correctly has been pretty tedious and manual. We are considering switching to a flat-rate monthly fee which I do think would help alleviate some of these issues, as it seems that's what the system is designed to do. Overall: Overall, Sandbox has been very intuitive and easy to use. It's great to have the platform online and in an app so it's always accessible. I've been very happy with Sandbox so far! Thanks for the awesome review! We are sorry to hear that you find some of billing tasks to be time consuming. Sandbox handles many complex billing scenarios, and this is normally one of our strengths, however depending on your specific needs, this may not be the case for your center. 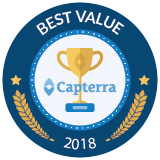 That being said, we'd love to hear what your current needs are to see if there is a better way that you could be doing it in Sandbox or how we can improve our billing capabilities in the future. Please feel free to contact our team at support@runsandbox.com so that we can assist you further! Love it! Simple to use and the app makes it easy to sign children in and out. Overall: Support has been helpful with questions which make it extremely user friendly. Much appreciated! Thanks for the raving review and the great feedback! A member from our support team will contact you to learn more about your issue with blended families. Pros: the biggest time saver for us is in invoicing and billing...saves time, easy to use, quick to process. Record keeping for family profiles is also very good and easy to use. Cons: For the staff time clock, the inability to add shifts for staff to compare to their actual time worked, then auto calculating their hours worked is something that could be added to save time...we still have to manually check their hours worked against their assigned shifts. Thanks for the great review! We are happy to hear that Sandbox is saving you time and that you find it easy to use. Staff scheduling is something we are looking to add in the future, so stay tuned! It has been great. Customer service is top notch! Pros: Ease of use, value, continual addition of features. The customer service team goes above and beyond to help! Cons: I would like to see some new options for student reports, or printable student profile pages for teachers to keep in child file. We are happy to hear your great feedback about Sandbox! You will be happy to hear we are working on building out our reports section and someone from our support team will be contacting you for more details about your request. 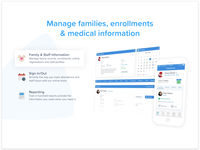 We use the family, billing, staffing, dashboards and reports sections to the fullest! Pros: Very user friendly, allowing you to easily navigate through the software . We also love the Admin and Attendance Reports. Cons: 1. Sandbox is not compatible with the regions waiting list. 2. Would like to be able to send group emails to families from Sandbox and not have to use and not be directed to outlook. Hi Bonnie, Thanks for the great feedback! A member from our team will contact you to discuss your waiting list and group email requests. Have a great day! Overall: My childcare runs smoothly and I have access to all files all the time! I would like to use it more but I have Hi Mama for programming for my educators. it would be good to have this as an access in sandbox. I really love the look of the program it's it so simple but has covered many administration issues for me. We have been using Sandbox for a few years now and all the new upgrading has helped us. Pros: The data is easily obtained for reporting. Cons: It would be nice if we could start documenting and placing pictures of the children in Sandbox for the parents to view. Thanks for providing your feedback! 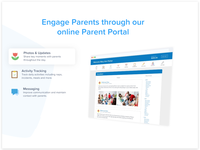 You can post photos and updates for parents with our Parent Portal. Drop us a line at support@runsandbox.com and our team will help you set it up. Over all very happy with Sandbox! 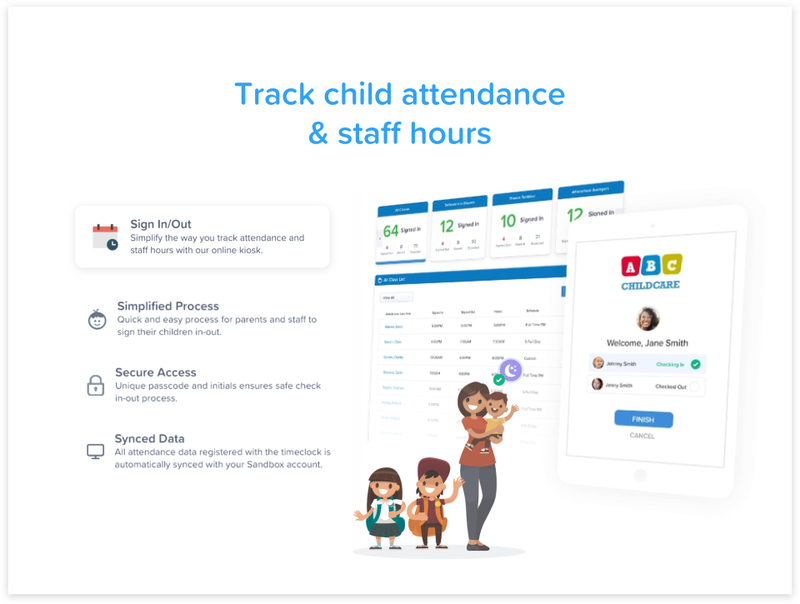 Pros: Online availability, parent interaction, attendance, and staff tracking. Its been great. Making it work with my billing process has been a challenge but Customer service is always ready and willing to help. Thanks for the feedback and the great review! We have added your requests to our feature request list and we will will notify you if these features are added in. Pros: The thing I like most about Sandbox is their customer support. I love that I'm able to start a conversation via messaging and work out any issue or question I may have live. Messaging is a great tool because I don't have to tie up our phone line and I'm still able to multi task! Cons: Billing and subsidy were a little difficult to learn and navigate. But their support team was wonderful and set up private training to be sure I got a handle on things. Overall: Overall Sandbox has become an invaluable tool for our childcare center! 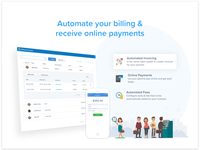 We are able to tackle billing like never before. I also use Sandbox to track important information for our staff aswell! Overall I've been happy that I switched from Bright Wheel to Sandbox. Pros: The reports are a gold mine of information. The software has been easy to learn and to train employees. I've embedded the online registration on our website to make it easy for new parents to get started. The app has made it easy to communicate with parents and see information about the children. 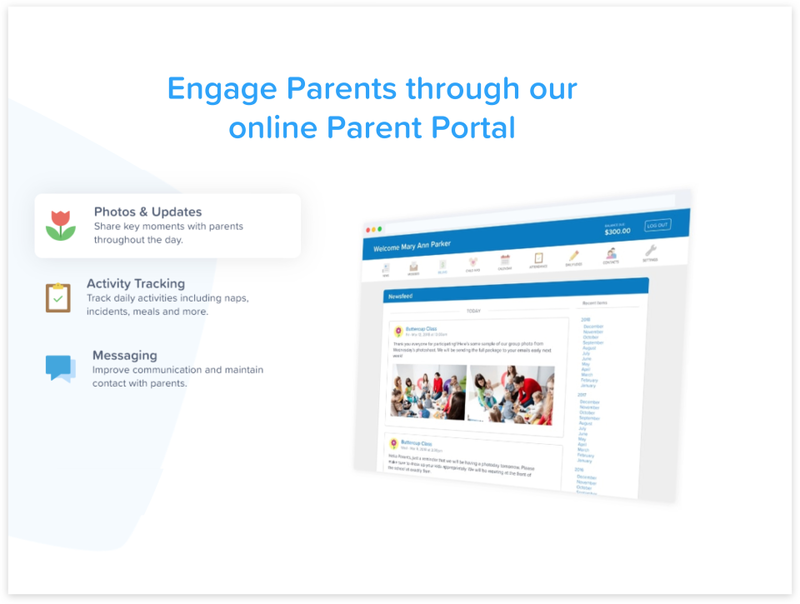 I'm looking forward to the parent portal app! Cons: There needs to be a pay invoice button on the invoice page rather than going into each family account. Employees should automatically be checked out at 11:59pm. Overall: The software has helped us organize the 150 children we currently have registered at Tip Top Child Development Center in Las Vegas. As a 24 hour facility, we have multiple shifts that all need to be trained and the implementation has gone smooth. The accounting system has helped us keep up on billing and has improved our cash flow. I highly recommend any center to use this software. Thanks for your awesome review and the great feedback! We have added the pay invoice option and automatic time out to our feature request list. Great for our Summer Camp! Pros: Online customer registration. Online customer payments. Quick and easy reports and communication with parents. Cons: We found thay we could not produce the exact reports we required. Medical lists were not as easy to compile as we had hoped ie allergy lists for each class. Overall: Made our summer much easier, no more spreadsheets! Thanks for the great feedback! We are looking to add customizable reports in the future, however, in the meantime we can add these to our feature requests. Please contact our support team at support@runsandbox.com to share these requests. Title: So far nothing but positive! Pros: Neat, clean, clear. Sandbox has always been extremely helpful anytime I have needed them! The support staff is amazing and so friendly! Cons: Still a few things I would like to see changed. For us we must go by expiration date on the immunization forms not each one listed out. I do like the alert when something is due! We appreciate your awesome review and feedback! A member from our support team will be contacting you to discuss your immunization request further. Easy to use and I can go anywhere and work!! Pros: I like how it is easy to use and is accessible anywhere I go. Cons: It needs a curriculum and planning and documentation tool. Overall: I really like to use Sandbox because it is my personal file cabinet, take home and work anywhere program. I would like to suggest and area for curriculum planning and documentation where several curriculum models can be used at the same time, and area for child development documentation and or a possible merge with Hi Mama that way my fee can be lower. Recommendations to other buyers: I'll be recommending this to the province of New Brunswick as a tool they need. Pros: Very comprehensive product in terms of how many features it has. The only thing we would want that isn't there is lead tracking for when we have families come in and we do tours. We are using Hubspot, but it's not geared towards the childcare process, so it's adapted. Would love for it all to be in one place. Cons: No lead tracking, the app isn't available yet. Also, the parents weren't prompted with a guide to fill in everything in the parent portal when they were given access. It would have been helpful to have this. Thanks for the great feedback! You will be happy to hear that we are releasing our new Teacher app for iOS and Android devices at the end of this week. We have also added lead tracking to our requested features list to be reviewed by our development team. Pros: Ability to manage all back-office elements of running a Montessori school and providing powerful reporting. Cons: Not really a con, however, would be really nice to have an mobile app for iPhones. Would make the user interface much better to look rather than the full website. Overall: We have only been on the Sandbox system for about 4 months and our experience with sandbox has been fantastic so far. The Account team (Gavin) and Support team (Kefsere) have been great to be work with. They have been very responsive and accommodating in all aspects, which has led to a great experience so far. Keep up the good work! Customer service and support has been outstanding ! Pros: Ease-of-use, real time data for multiple centers and the unlimited customer support. We look forward to growing into this program. Cons: We are on able to create specific user reports from user data instead of tags. Thanks for the awesome review and the helpful feedback! EXCELLENT software and EVEN BETTER customer service! Comments: WOW, I would have never thought software could be this easy! Sandbox has made their product SO user friendly, fast, and efficient! I can get the exact information I need saved easily, and it's a cinch to generate reports for administrative purposes and future planning. I have been especially impressed with their customer service. There were a couple of minor tweaks we wished to have in the software, which I offhand shared with our rep. Sandbox made these changes *JUST FOR US*. I would have NEVER expected that. They are have been proactive in calling to check in on any issues we have run into. They have fantastic expansion plans on the horizon which will make this software even better than it already is! If you are looking for a heavy and clunky software with every option under the sun, you've come to the wrong place. This software is new, looks great on every device you use, and offers all the (simple) features we wanted to find. I am excited to continue a relationship with this company and see what growth they have! Keep up the great work, Sandbox! I ABSOLUTLY LOVE THIS PROGRAM!!! Pros: Customer service is excellent! I recommend to everyone in the childcare business in my area! Cons: There are no cons! I love everything about it! Overall: This program meet and exceeds all of my childcare needs! Pros: So far easy to use and great customer support! We are happy to hear that you are enjoying our software and customer support. Thanks for the great review! Pros: My parents are clocking in and out daily and that saves me paper and time. Cons: I would love to see a ledger added to add receipts for spending. This will help my end of year reporting. Pros: Sandbox is an excellent product. It simple to use. The UI is very good, and intuitive to use, and has a nice look and feel. The layout of the .pdf reports is very good. Customizable reports would be a great and welcome addition. Cons: Cannot Customize Reports - But still a great product! Thanks for the great review! We are looking to add Customizable Reports in the future and you will notified by our team once this has been added to Sandbox. This software had helped me run my daycare and saved me valuable time! Pros: The check in/out system is easy to use and helps me with my billing. Cons: Have not found anything I don't like. I look forward to having an ap for parents to use. We LOVE Sandbox and have been a user for 2 months now. Pros: Simplicity and Great Customer Service ... The support staff is unbelievably knowledgable and always available. After tracking tuition with Excel spreadsheets and reports from our credit card company for 125 students and still having discrepancies to reconcile, Sandbox allows us to manage the school rather than the school manage us. Cons: We would love to see custom reporting added to Sandbox! Thanks for the awesome feedback! You will be happy to know that customizable reports is already in development and you will be notified when the free upgrade is available. I wish I would have known about Sandbox earlier! Pros: Very Easy to use, affordable, love the cloud based software and that I am able to access it where ever I have access to a device. Sandbox has made tremendously helped me stay organized and has made the business side of my childcare business so much easier. Cons: I would like to be able to have the option to integrate tracking expenses, but other than that there are no cons. Overall: It makes my accounting part of my business so much easier! Hi Reneece, Thanks for the awesome review! Our support team will be contacting you to learn more about your expense tracking request. We have been extremely pleased with Sandbox. Pros: I am amazed at how simple the system is to use and to navigate, it has drastically reduced administrative time and increased data management across the board. We have been well supported throughout our trial and launching period. Cons: Quickbooks integration would be a nice addition. Overall: Our families have really enjoyed the timeclock feature, much more streamlined than paper sign ins and really steps it up in regards to the professionalism of our school. 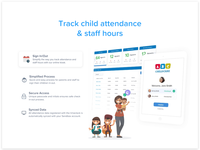 Easy attendance tracking and easy for parents to use! Cons: Calendar setting needs more options so that we can add special school events (programs, field trips, etc). The only options right now look like school closure/vacation dates on the calendar. Comments: Sandbox software does it ALL for our preschool!!! 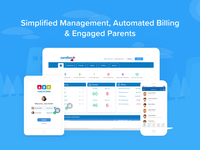 The billing tool is flawless and we manage staff and children enrolled with ease. The software was very easy to train our employees on and has adapted to our facility perfectly. Above all, the customer service at Sandbox is top-notch!!!!! Everyone on my administrative team has their own contact person to go to if they run into a problem. The team at Sandbox is always available and willing to walk us through our issues (usually user-error) and back in business within minutes. I cannot imagine using any other software to manage our contacts and billing. Thank YOU Sandbox for being the answer to our preschool management woes. User Friendly Product and Great Service! Comments: The software is very user-friendly and they provide great customer service with prompt communication. Everything has went very well. Gavin and Kefsere have been AMAZING help and very patient. Cons: Can't schedule workers for months. It can take some time to talk to customer support. Pros: Loved the free 30 day trial-. Was able to try this before buying which was very important. Helped to track lots of back of office duties. Cons: Didn't like it is monthly subscription only. Can't buyout- always stuck paying. No application format, always cloud based. Pros: Easy to learn and to use. Great customer service! Cons: There is nothing negative to say about the software. Overall: We have nothing but great things to say about the product and the service we receive! You guys are doing great and I hope to be working with you for many years to come! Pros: Customer support is great and willing to help with any problems we have. Overall: I began using Sandbox when my former preschool decided we needed a new software program. I used sandbox there for about a year before I moved to a new school. When I moved I need to make improvements to their program and one was changing from a completely manual paper system to a computerized system. Do to the customer support and willingness to work with me in the past on custom features, I was more than willing to jump back in with sandbox. Comments: We recently adopted Sandbox for our school of 140 children. The initial setup was easy, and training with our sales rep was seamless. The Team at Sandbox has been responsive to our questions, and has fielded all of our special requests for product unique to our center. The software gives management a clear picture of the enrollment, tuition, staffing and more. Also, having a cloud based software means we can log in from any computer if need be. We are very pleased with Sandbox, and look forward to the new release of even more features to come soon. Comments: Our preschool program had grown to serve over 350 families. Tracking payments was unorganized and inefficient. 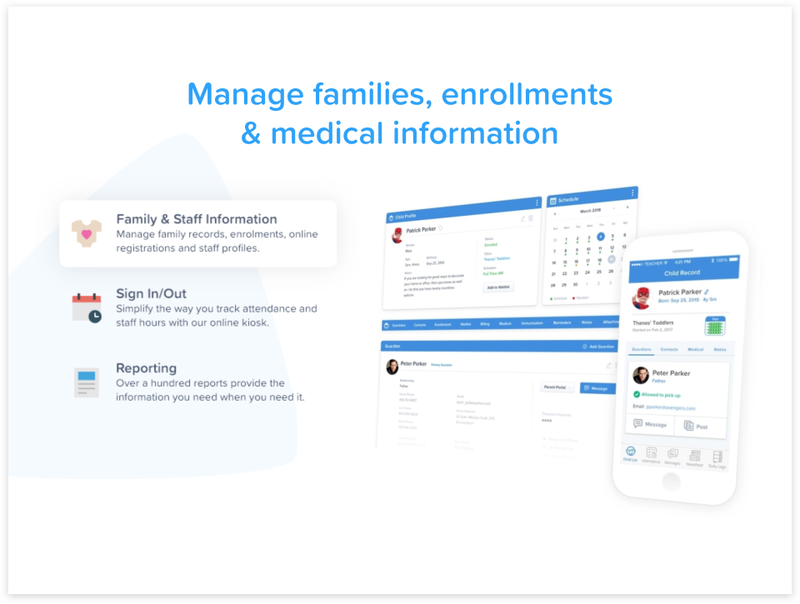 We needed a new program that would make billing simple and easy each month, while keeping student information secure and organized. Sandbox was that program! Since upgrading to Sandbox software, billing has been a breeze. We are easily able to keep track of outstanding balances as well as how much money our program brings in each month. I am extremely happy with the way Sandbox has supported our needs. Cons: Rather cumbersome to use. Apps are not fully developed. Thanks for providing this feedback! We are sorry to hear that you find our software difficult to work in. 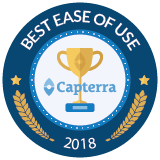 Ease of use is typically something our customers love about Sandbox. A member of our support team will be in contact with you to see how we can improve the experience for you. Overall: So far So good. We would love to see a payroll function added to the platform. Cons: None that I see at this time. Overall: Very user-friendly, I did have trouble keeping up with the orientation day when connected through "Go To Meeting". It would be easier to have someone come spend the day and help me, even though that is not realistic, but would be idealistic. Pros: The reports that you can generate as well as the reminders. It is very easy to navigate and learn. Overall: So far we have been very pleased with this database software. When reports have been hard to find or figure out, customer service is quick to respond to our needs. We are pleased with the service you provide. Great Service! Easy to Navigate! Pros: Digital sign in (would like to do it with a stylus), billing and record keeping all in one. Easy to add up hours of staff and children. Overall: Great customer service and so far the software has been pretty easy to navigate but I haven't had the chance to begin to operate the centre or registration yet. Comments: I have found this to be much less cumbersome than the other software I was working with. I have had trouble posting more than two pictures at a time and having the parent portal work for the parents (although I am not sure they are not at fault.) I like how easy it is to post checks and get invoices out. Comments: We started using Sandbox about a year and a half ago after a year of research. We LOVE using Sandbox. It has increased the quality of our program as a whole. We love the time clock for both staff and child check in. This system as saved our program a lot of time and energy. Comments: I really like how it is user friendly! It is pretty easy to navigate once you get started. Pros: Waitlist, billing, file, accessibility, reports tracking. Overall: I like using Sandbox as an office essential tool. It is an easy to work with program and the support team is very good. Very simple intuitive interface, very flexible database design! Comments: We have just got started using Sandbox. However the experience so far has been very positive. Excellent customer service particularly in my research/trial phase. Comments: We love all the options the program offers to help us streamline our finances and records. Incredibly wonderful support for set up and questions! Overall: Overall, it has been wonderful! Easy to use and support has been wonderful. Overall: So far our experience with Sandbox has been great! I have enjoyed launching this product and find it very user friendly. Comments: The software is very user friendly and easy to navigate. However, every time an update is made it seems to effect another part of the system. Comments: It's a huge improvement over the software I previously used.